Meet our 2005 Chevrolet TrailBlazer EXT LT 4x4. Powered by a 4.2 Liter 6 Cylinder that offers plenty of passing power while paired with a smooth shifting 5 Speed Automatic transmission. 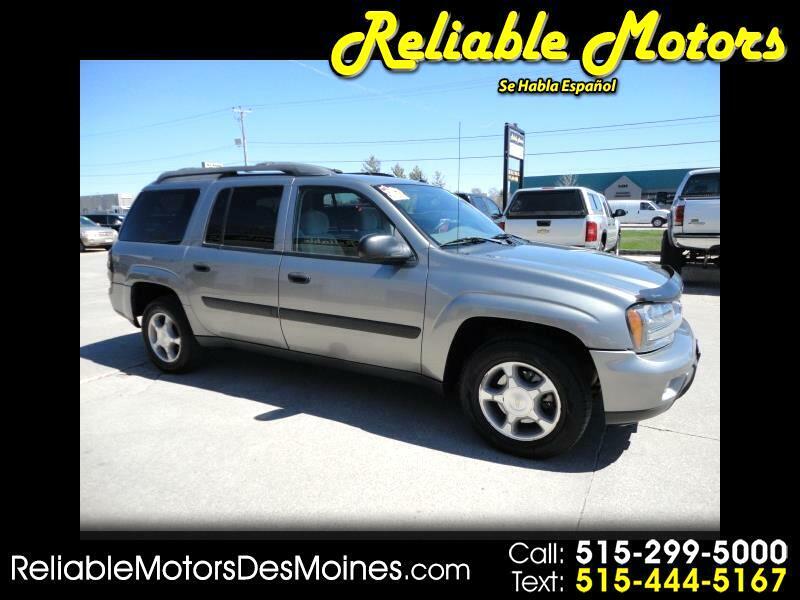 This Four Wheel Drive TrailBlazer will get you where you need to go while offering up 18mpg on the open road. Outside our EXT find fog lamps, and privacy glass. While the interior features plush seating, with 3rd-row seating, a stellar stereo with AM/FM/CD player. Take a look at our pictures to see all the options our TrailBlazer EXT LT has to offer! Plus, this EXT Chevrolet TrailBlazer is packed full of safety features to protect even your most precious cargo! Electronic Brake Distribution, ABS, airbags, and more. Print this page and call us Now... We Know You Will Enjoy Your Test Drive Towards Ownership!